Had a brilliant holiday this was our first visit to Greece. Just returned y'day from Klelia (03/06/2013) What can I say, the hotel declared it passed total and full renovation and added one star to it's class and now wannabe a 4-star hotel, but actually they arenot 4 star of course, maximum 3+. The water closet and basin are leaking, the furniture is renovated but it is very old. They bed linen and towels are also middle class, not too good. Lighting is enough, new small full-HD TV is on the wall. What I appreciate was very big balcony, and the family room itself is big enough. Hotel moved to all-inclusive system, beer is good, wine is from big packs and is so-so, also they have local spirits but I didnt try. Breakfast is the same all time and I can't eat eggs any more, I would add some porridge, though it is difficult to make different and non-repetative breakfasts on the whole. Lunches and dinners offer not too big choice of dishes, though its quality is very good, beautiful and tasty! So I can give 4 for the food. 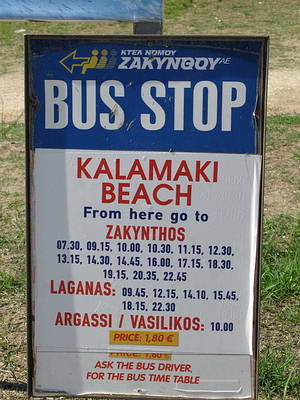 Hotel location is 2 minutes from the sea, you just quit from the back yard, then cross the road and you are on a beach. Also there are plenty of supermarkets and tavernas around, I liked the Cavo d'Oro supermarket. Hotel is 5 mins walk from main street, but actually everything you need is on this appendix street, I donno really why to make the main street so far from the sea. Location is great, near the bust stop, beach , and everything you need also. What is great about hotel is its personnel, very great people! Thanks them all. which tour op is this hotel with? Just returned from a two weeks stay at this hotel.Family of four,two adults and two teenagers,16 and 18.Great pool,staff very friendly and helpful,position of the hotel great too.But as there always is lol,food not brilliant,rooms very basic,towels awful,and no air con in the two rooms we had,but as you have to do we made the best of it and enjoyed the holiday on the whole.Will go back but will try a different hotel. we spent the last week of October here and were not overly impressed. The white rooms seemed clean, small but the linen was old and frayed and the furniture dark and old. We had to keep asking for hot water to be supplied. The buffet was not extensive - breakfast was very basic. Evening food was soup, salad and a choice but very german orientated - not international. The staff was lovely there though. Only 10 rooms were let out of 40 so it was quiet. As it is near the beach and away from main kalamaki strip it is probably a godsend in July/August. There are no extra facilities at the hotel just a draughts board. The pool is very slipppery on the tiles so be careful. Also if you are downstairs you can hear noise from the upstairs rooms. The best holiday I ever had, not in the last place because Klelia Hotel is really super! Staff, rooms, cleanliness, location, food, service, swimmingpool.... really everything was the best I ever had. 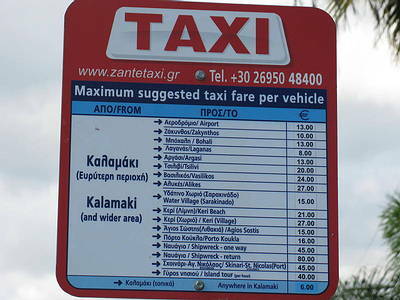 It was the first time I was in Zakynthos but it won't be the last and when I return it will definately be at Klelia Hotel. Thanks!! An excellent choice for couples,familes and those who just want to get away and relax. A very friendly and clean hotel with a FIRST CLASS choice of bar snacks and Buffet style evening meal. We have visited this Hotel twice and would not hessitate returning in the near future.